it can work 1080p vids???? Hi friends.i m using dis mobile since last 2 months.i brought it for inr 19999.00.so here z benefits and drawbacks. -First of all excellent or u can say superb music clarity with 3d surround effects(with and without headset).while watching movies u ll definitely feel lyk watching dem in a multiplex. -excellent 5m camera.3d pictures are also nice.very good flash. -Display z unbelievably crisp and clear as it comes with bravia engine with reality display.i can say videos are so real dat easily u ll give more points to dis than AMOLED display.so my advice choose Bravia engine than AMOLED. -Floating touch which z itz unique feature in mobile world which enables u to use ur mobile without touching with ICS upgrade. - Unremovable battery with low charge backup(less than a day after full use). However ICS upgrade z now available in sony website and video calls possible with back camera,battery backup problem has no alternative.yes dont worry abt Unremovable battery as battery can b replaced in sony service centres. For ur satisfaction bfore buying always shop in reliance digital or other stores where u can check all qualities with one original demo mobile set. Although xperia go & sola specifications are almost identical..but dere are some differences..
1) Xperia Go is more sturdy & well built whereas xperia sola is not dat built properly. Conclusion - If u want a rough n tough fone go for xperia Go...whereas if u want a great screen den go for xperia sola..also to mention xperia sola has a bigger screen den Go..rest specifications are same..camera quality is same..processor is same..rest u decide..
now that the Sola has ICS, please test the benchmarks again for the device. it really should have a marked difference. battery life is extended for sure, better battery backup, faster interface. everything is snappier. Compared to Xperia ray, this handset could barely support itself, not really being a part of the NXT series (S, P, U). Despite all this, I still love the phone. Though Sony's support has started to piss me off now. Hopefully, further firmware updates and ICS should fix this. i hope gsmarena can use a credit card that being put beside the phone to make a size compare,it is better than when you put it in your hand..*sorry for my bad english. the phone is great if they make the battery more powerful and atleast lasting for 3 days with normal usage..
Hey anyone there I wanna ask is there video calling facility on Xperia sola ot not????? -3D gaming is smooth and good looking (Samurai 2: Vengeance, Shadowgun, Modern Combat 3, NOVA 3), Its Quadrant benchmark score is only slightly under NVIDIA Tegra 2/ GeForce ULP based devices. -good speaker and earphone sound quality. -apps can only be installed to onboard memory (5GB) unless you root the device and get a +4 class microSD card running with a decent file managing app (if not rooted only video, pictures and music can be stored on micro SD). Check XDA forums for advice on how to root the Sola. -battery is a bit weak but enough to give you a whole day's average/personal phone calls, 1 hour gaming, 0.5 hour video, 1.5 hour music/radio and 1 hour web browsing with 50% screen brightness (in my experience). -connecting to PC by USB is problematic initially but the software which installs from the phone helps you correct this with intuitive help tips, also had some issues with the latest firmware update because the process is a bit weird (requires plugging/unplugging of device to PC during update process) but it gets there eventually. -device lags when resource heavy applications like games such as Shadowgun are minimised by pressing home button, my Sola froze once (requiring a reset)when minimizing but it seems that 90% of the time it recovers after a few seconds and one can go about one's business in the UI and then return to the application (game). -earphones that come with it are not in-ear style. I have to say that I am satisfied with the Xperia Sola, it's obviously not an iPhone 4s 64GB/Galaxy S3/One X/Optimus 4x/Xperia Arco S but it does 75% what all these smartphone "behemoths" do at an average of 50% of those devices individual prices (@ 250 Euro), which makes it extremely good value for the meduim budget buyer, even more so than its direct competitors: the Galaxy Ace 2, Galaxy S Advance, One V or Optimus 2x (which is buggy as hell with no manufacturer Android 4 ICS update support). I researched all of the above mentioned smartphones in technical specifications/features, user opinions and manufacturer support and found the Xperia Sola to be the best balanced option to go for (and I still feel that way). Regarding battery life I think people should realise most smartphones used often for web browsing/video/gaming/music have bad battery life. There was no spesific mention of the Sola's battery life in the GSM Arena review so one can expect it to be pretty average. If you decide to go with the Xperia Sola I would recommend getting the Sony MW600 bluetooth stereo headset, its relatively cheap (30 Euro), has great features like in-ear buds, full media control buttons and answer button, it has its own rechargeable battery through micro USB (with a very long life which will save your Sola's battery) and it looks and sounds great. If you are looking for a good quality but cheap microSD card the Kingston microSDHC 32GB class 4 is also cheap (17 Euro) but with large capacity and adequate transfer speeds for 720p HD recording and playing games or running other apps from it (if your Sola has been rooted), it also has a lifetime warranty. For protection of your Sola I can recommend a ShockSock neoprene sleeve (@10 Euro) which are available in many colours, its made for iPhone 4S but because the Sola has almost exactly the same dimensions as the iPhone 4S it fits perfectly, the sleeve provides great shock resistance for knocks and drops but needs to be removed every time you use your Sola, but its definitely the better option to protect your Sola when not in use. 1. The leftmost letters of the qwerty keypad are not working most of the time. 2. Very very poor battery back up. I dont play games or listen to music till now, just surf the net for 30 mins to 1 hour a day. But even after charging fully the battery doesn't even last for a full day while I am also using the power saver mode to save battery. I already contacted the sony customer care executive on 08.08.2012 and asked for a replacement. But he told me that it can be replaced only within 7 days from purchase date. He told me to do a factory reset but that didn't work too. 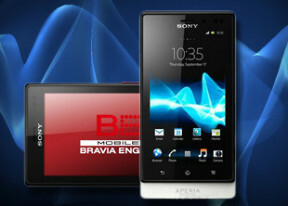 Now I have to visit sony service center and the phone can only be repaired. I am very very dissapointed with sony which I trusted blindly as I was super happy with the Bravia led and DSC HX 100v digicam which I have. Anonymous, 17 Jun 2012I had taken the Sony solar but main disadvantages is there is no front camera.one thing I want... moreDude, how much did u pay fo ur sola? im having xperia mini and i wana change my phone to sola. based on the comment i have seen it makes alot of negatives point towards this phone..and now i am considering xperia U and S..if its like this comments given customers will never buy any of these product again..as i know Sony Ericsson creates a reliable phone compare to Nokia and Samsung. Bad battery life. Red paint is started to peel off. Bad plastic quality. I will never buy a Sony phone.